The Prime Minister has said the driving purpose of her government is to make Britain a country that works for everyone, not just the privileged few. The Civil Service, both in its role in supporting the Government and as one of the country’s largest employers, must be at the centre of this effort. The Civil Service has long seen itself as a meritocratic organisation in which people, whatever their background, can rise to the very top. Making this a reality is the right thing to do; not just because it is fair, but because it allows us to make the most of the talents of our staff. This is why increasing diversity at all levels of the Civil Service is one of the Civil Service Board’s top priorities; we want to make the Civil Service the most inclusive employer in the UK. So far, much of our focus has been on promoting diversity on the basis of gender, race, sexual orientation and disability. However, at the end of last year, the Civil Service commissioned the Bridge Group to conduct independent research looking at the socio-economic composition of our flagship recruitment programme, the Fast Stream. Their report revealed a shocking lack of diversity, with just 1 in 20 Fast Streamers from the 2014 intake coming from a low socio-economic background. This acted as a wake-up call that this is an area of diversity we must do more to address. In response, we published our Talent Action Plan 2016, with an ambitious set of commitments for how we will set about increasing social mobility in the Civil Service and beyond. To meet these commitments, it is essential that we have a better understanding of the make-up of our workforce. While we have data on protected characteristics like race, gender and disability, we don’t have a set of metrics, commonly recognised by employers, on the socio-economic profile of our people. That is why, earlier this week, John Manzoni, Jon Thompson and I wrote a joint letter to all Senior Civil Servants, asking them to complete an online survey on their socio-economic background. Data collection of this kind, the first by any major employer in the UK, will allow us to track how the background of civil servants is changing over time. This is a significant milestone for our work on social mobility. It will mean that our interventions to increase socio-economic diversity will be based on stronger evidence than ever before. And it will therefore be a crucial tool in our efforts to break down the barriers that some civil servants currently face, particularly when trying to reach the higher levels of the Civil Service. The survey is the result of months of collaboration between the Civil Service and over 30 organisations working in the social mobility space. The initial stage of this work produced 26 potential measures to help better understand the socio-economic backgrounds of workforces and applicant pools. We then sought the views of employers through an online engagement, refined the potential measures and now have a list of 12, which form the basis of the survey. The list of measures is intentionally broad. This allows us to gather further insight ahead of a final recommendation of what we expect to be a much smaller number of measures. Other employers are testing the potential measures on segments of their workforces. Together this will give us a wealth of information from which we can identify the measures that are most meaningful and commonly recognised and that help us understand the issue best. Some of the questions may make those taking the survey slightly uncomfortable. But I want to reassure everyone that data is being collected and used anonymously, in the same way as other diversity data. It’s our hope that, over time, as has happened with the collection of data on race, gender and disability, the concerns about answering questions of a personal nature will diminish and providing such information will be seen as the norm. This will only happen if we are clear about the purpose. This data is not being collected to disadvantage anyone. We should value difference of all kinds, all backgrounds. I want us to understand our workforce so that we can be sure that there are no barriers in place to achieving this. This work is about increasing chances for all, based on the most meaningful evidence at our disposal. Appointment is and should always be on merit. Name- and school-blind applications have been rolled out for 70% of the Civil Service by default and will soon be standard across the organisation. I look forward eagerly to the results of the survey and to seeing how they inform the approach to improving social mobility. I also look forward to reading more personal stories - such as those told here recently by Rupert McNeil and Martyn Henderson - from people who believe it is important to declare and talk about their background in order to inspire others to do the same. By diversity will you have records for All of the following Age, Disability, Gender, Race, Religion, Relationship status, Sexual orientation and more? Will you get records from all Senior Civil Servants on all these issues1? Notice there is no interest at all in lower grades - is grade-ism not a violation of diversity principles ? Missing the point a bit here. It's about seeing whether those that manage to get to the top grades reflect the diversity of our society and whether there is a fair chance of progression for those of us from lower grades! The point is that those getting to the top are generally those that have a longer period of service. Or to put it differently are older. They reflect the mix of society at the time they joined, the CS recruiting policy and methods of that time etc . So the results are relatively meaningless unless you know the socio economic groupings of the entrants at that time to see how many from 'working class' there were and what % clambered up the greasy pole. This will no doubt create the 'correct' results that there are too few working class background at the upper levels. While the Civil Service prides itself on promoting diversity on the on the basis of gender, race, sexual orientation and disability, it has not prevented two of the afore mentioned, namely race and disability together with part time workers and older workers being placed in the must improve category under the Performance Management System. Unless the Civil Service is prepared to tackle this obvious discrimination first then a survey on the socio-economic background of civil servants will be a total waste of time. A shock? only to the senior staff, who are cut from the same cloth. Quite right. Age is the real issue that needs addressing in the civil service and no one is doing anything about that. We are beginning, unwisely, to reflect the national and global obsession with youth. As retirement ages retreat we need to address this or engagement scores will drop. Sacking people to replace them with apprentices - the current approach - doesn't seem quite good enough to me. There may be merit in widening this survey to include civil servants who work in local offices and customer facing locations and comparing thier socio-economic backgrounds to those in the higher eschelons of their own departments. Based on my own experience of working many years in the civil service (both in front line services and central 'head Office' environments) my guess would be the majority those in custopmer facing situations would be from lower backgrounds and those in higher grades and head offices would be from middle to higher backgrounds. There will, of course, be exceptions in both cases but I think the generality would be as I suggest. Unless you live in London or Bristol there are NO opportunites anywhere else in the UK that aren't already filled. There are no relocation packages so you 'could' take a £4k ish pay rise but are saddled with a bill of c.£20k for moving house etc...add to that house price diversity should you move from north to south. Until the CS offer more high-grade jobs regionally this is just an exercise. Advancement isn't meritocratic, its via competition, if that was the case my last PARs would have gone through a promotion board and I'd be 2 grades up by now! It also doesn't 100% apply to those with established life anchors and families- unless the 'mobility' or promotion is truly worth it, people aren't going to uproot themselves for a role in a shrinking civil service. Also, becuase of life anchors, upheaval and potential debt increase, the 'fast stream' isn't open to everyone...moving roles every 10- 12 months with a final role being, well, somewhere, is that good for family stability and cohesion, personal stress levels etc. Both my wife and I want to progress in the CS, but there just aren't the opportunities up north that are open, and moving my family for a promotion is a risk to debt that we are not prepared to take. I think you summed it allup in that last line - a risk you are unwilling to take. Opportunities are there but your job/career does not owe you a 'convenient' option. The Civil Service should concentrate more on developing a meritocracy for advancement, hard work and a business-like, efficient approach, rather than on social engineeering and never-ending promotion of diversity, which risks perpetuating a culture of victimhood for some and resentment for others. I agree...my 7 yr old son doesn't care what colour the children are he plays with are, nor where they are from, and he makes friends easily in any park, anywhere, WE, i.e. adults and politicians have made this an issue and we have made the (perceived?) barriers. The CS IS the most E&D aware employee, but we must be careful that positive action does not become positive discrimination or bullying...we cannot force anyone to work for us, and to be honest, if I were starting again with my career I would lok elsewhere becuase our rewards are poor, development is poor and opportunities are poor. I fully support this initiative and believe that evidence can be found from the Ministry of Justice. As parents with no degrees and qualifications (only to "O" level), I know that my daughter's progress through University and subsequent employment as a lawyer was tracked. It may seem a bit "big brother" but I took comfort from the fact that someone was checking that my daughter, (and others in her position), was/ were receiving the same opportunities as someone who had gone into law whose father or mother happened to be a Barrister or Judge. I also believe it is an important principle that if you are in trouble, the person defending you can at least empathise with how you may have come to be in trouble. It is the same for us, we work as representatives of our society and it is important that our structures and the people within them represent the full range of diversity of UK society be that age, race, religious belief, disability, sexual orientation or economic background. Taking this action should assist in preventing the continuation of what I can only describe as "The Old Boy" network. In some respects I see this as a welcome development - a recognition that diversity is more than race, gender, sexuality etc. Bias and prejudice take many forms, and are fundamentally about judging people on the basis that they are different to you. An organisation that is very diverse is likely to be one that is good at judging people on their merits. Workplaces ought to provide a good environment for that to happen, so it is an interesting question as to why some fail to do so - in recruitment, retention and progression. Measuring some of this may help define, or clarify the scale of the issue we're tackling. The next step of course will be to understand why it happens and what we're going to do to tackle it. The aim has to be to get to a position where we are diverse without having to think about it - meaning diversity happens because that is what society is, that is who we are and that is how we act. Not just because we've measured and tinkered to get it right. 1. When I joined many moons ago, my DD was interested to know whether his new recruits were 'from the right side of the binary divide' (had they gone to polytechnic or university). I think what mattered was whether the recruits could do the job or not. 2. I heard of a DG this year saying that shutting one of their Department's sites would improve their diversity stats - because the remaining offices were more diverse. Note: (a) that didn't include stats on socio-economic background; and (b) it didn't involve giving a single additional person from an under-represented group a new opportunity. A classic case of hitting the numbers, but missing the point. Employee morale at an all time low, but diversity is good because it means we can all suffer together. Lovely stuff. "The list of measures is intentionally broad. This allows us to gather further insight ahead of a final recommendation of what we expect to be a much smaller number of measures". What? What this completely fails to address is, once this (yet another) survey is complete, what action will be taken. A survey to identify barriers; what barriers could the Civil Service possibly have that the whole organisation would be completely unaware of? I agree with you Marilyn, promoting new diversity initiatives is all well and good, but they risk being undermined as long as the Civil Service fails to respond positively to what are arguably justified complaints relating to its duty and practices under Equality legislation. One can reasonable infer from the disturbing PMR results we see, year on year, that something needs to be done. Mark J, diversity has little to do with the recruitment or performance process, we all have the same competency-based process for recruitment and in theory the goodies and detriment imposed by PMR systems should favour or hurt any particular group, as its written and the Civil Service is obliged to comply with equality and employment laws. Where there are issues, it is the application of these processes by sifters, interviewers and managers and the effects on real people. Nothing to do with the generic, aspirational aims to have a diverse workforce. I would also say that if hard work was a criterion for promotion, just about everyone working in a call centre would be grade 7s by now I'm sure. Couldn't agree more with Another Terry. Almost daily the media is reminding us of massive inequalities of opportunity suffered by our fellow citizens. The postcode lottery for access to effective health and education, entrenched race inequality (as per the recent EHRC review), the continuing gender pay gap highlighted by the IFS and the Public Service audit now announced into socio ethnic inequalities. - candidates for "fast-stream" are more likely to be selected from a socio economic profile " closer to the profile of students from Oxbridge than that of the wider student population". - candidates from lower socio-economic backgrounds were found to have the lowest competency scoring - particularly “communicating with impact / leading and communicating". What is of greater interest to the vast majority of civil servants (who may or may not aspire to the dizzy heights of the SCS) who want meaningful progression of their careers and life goals, is the extent to which this ingrained inequality at senior level is replicated throughout the service. The trickle-down mimicking of SCS attitudes and behaviours, creates its own barriers to progression and success at every level of the organisation. I wonder how many of our colleagues are routinely marked as not displaying "Communication with Impact" or unable to demonstrate "Leadership with Communication", when applying for relatively junior positions where they are scored or "sifted" by individuals reflecting the culture and expectations of a selective and privileged SCS? Perhaps here, Sir Jeremy can make a difference by establishing a truly anonymous application process for grades beyond the Senior Service- Name/School blind processes here are woefully inadequate, when significant data on background, gender, ethnicity etc can easily be garnered from so-called "competency statements" and work histories, and influence "sifters" and "selectors" to entrench inequalities and uniformity. If Sir Jeremy was indeed keen to make visible and meaningful progress then he could also order the end to a Performance Management system that ritualises the annual humiliation of at least 10% of the Civil Service overwhelmingly based on ethnicity, disability and socio-economic background. That would be an immediate and clear signal that he means business when he says he wants a Civil Service "that works for everyone, not just the privileged few." Do you mind if I ask why do you need to be a student or a graduate? I didn't gain my diploma and Masters until much later in life (31 and 49) - I am not any more (probably less) intelligent than I was when I passed my HNC and finished my apprenticeship. I would like to find out how many of the Fast Streamers and the SCS start off as an apprentice rather than the University (Oxbridge or not). I think it's valid to question whether a University Degree should be a pre-requisite for access to the CS Fast Stream, especially so as the available research demonstrates unequivocally, that in terms of access to tertiary education there is a clear imbalance of opportunity between those from lower and higher socio-economic groups. This means that proportionally, there are fewer people from lower social economic backgrounds (SEB) who the necessary qualifications even to apply for the competition. There exists an absolute barrier to access for many thousands of potential candidates. Similarly, the Bridge Group research demonstrates that those from lower SEB are more likely to be (or at least assessed as being) less confident and less able to demonstrate the leadership and communication "competencies" as currently formulated, than those from higher SEB. This too means artificial barriers exist which both discriminates against a successful application from from a person from a lower social background (with the required qualification) and acts as a deterrent to those potential applicants. To my mind, in order for the CS to make an immediate and meaningful difference, there requires some radical thought about how the service recruits from all under-represented groups - the one-size-fits-all assessment of individual potential has clearly failed to deliver the equalities of opportunity and the diversity of workforce we all aspire to. This of course is a reassessment that is urgently required not just for the CS Fast Stream but at every level of recruitment and progression within the Service. I think there are far more of us who resent that we are not considered for the plum jobs when on the face of it we are performing well and regarded as such by our peers, and those of us who continually seem to get box 3s whatever we do. It seems that it is more who you know than what you know. If we had recruitment policies at all levels that were consistent, enforced and held to independent scrutiny I think that might help. Surely looking at the socio-economic background of the feeder grades to SCS will be better, as if you see the differences there then you know part of the problem may be in the final selection up to SCS. There appears now to be some restrictions on London, where jobs that have a national portfolio are being advertised on the basis that the individual will be based in an office outside London. Whilst the job is open for all it is exceptionally unreasonable to expect an individual to travel in excess of 100 miles to work or sell up move and incur thousands of £ in costs and then have no or little increase in pay even on promotion in most cases (unless you jump 2 grades or go from SO to G7 grade) so overall the prospect of having to work at a higher grade with little to no pay rise and be considerably be out of pocket due to high travel costs or moving home makes it untenable. This is not therefore opportunity for all, unfair and not good for the business as you may not be getting the best person for the job or moral. From what I've seen, the opposite is true with regards to London. Those of us hundreds of miles away are told we can apply for jobs, all of which seem to be in London, but would be required to travel to London on a weekly basis. No good if you have a family. This initiative seems like a sensible idea. I've been a working class (by birth and upbringing) Grade 7 level in London for quite a while and there's definitely a significant minority of SCS staff who during this time I've observed marking me down as 'not officer material' within seconds of me opening my mouth. But then I would freely admit that I'm slightly but probably tangibly less ambitious and hard-working than many of my peers. That's why it's important to get some a real evidence base to enable some proper conclusions to be drawn without getting bogged down in anecdote. I find this entire concept objectionable for a number of reasons. This makes it OK to discriminate against people because of what their parents did or did not do decades ago and which the individual has no control over. Why is this OK when we all agree that it is wrong to discriminate on an individual because of something that they themselves have decided to do and may have control over. What the Civil Service should be about is getting the right person into the right job irrespective of their colour, race, gender, age, politics or sexuality or that of their parents. How soon before we start to see the introduction of quotas into the Civil Service, x % Asian, Y% trans and W% Socioeconomic group C. This cannot be right. If we want to increase the quality of the Civil Service why does Sir Jeremy not start by advertising every vacancy (from Permanent Secretaries downwards) in the Civil Service to those outside so that the best people apply not just those already inside the tent. Could it be that those in positions of power are scared that they would be out competed by those outside. Such a move as this really would show that Civil Service recruitment was about getting the best people into post and not just ticking politically correct trendy boxes. A recent initiative to recruit 400 HO's into my department restricted qualification for internal applicants to those holding a University degree. I do not have a degree but 37 years of service in which I have covered most aspects of work undertaken by my department, however without a degree I am not eligible. My peers who attended university in the 80's were in the minority, this does not mean that the rest of us were incapable but usually had parents with no ambition for us to obtain a further education. University was considered to be for those in higher income brackets. These days every man and his dog gets a University education. These policies fly in the face of this initiative and nothing will change until perceptions of long serving staff is changed. Disappointing to see the introduction of this vanity project for Senior Civil Servants, rather than address the reasons for bias against particular groups (such as part time and disabled) in the PMR system. Also ignores the impact of living costs on socio-economic progression given that civil service salaries are insufficient for the current housing market. I have mixed feelings about this survey. Whilst the survey may, on the surface be well intentioned, some of the questions are intrusive. Such as wanting to know what your parents educational background is/was. What has that got to do with anybody?!! And remembering the post code of where you were living in your childhood. I for one was too busy crawling to care or know what a postcode was!! And i agree about sterotyping colleagues. I am disabled but it does not mean i am thick. My degree shows that. But i do know i have been discriminated in the workplace because of my disabilities and have been bullied, and all hope of me getting a promotion has sunk as a direct consequence of that. I dont ever see how things can change if you have bullying line managers in place who will block you and give you unfair end of year markings and penalties. If Mr Heywood could look into the discrimination that does exist in the workplace and the unfair performance review system coupled with the appeals procedures, then he would win over much support for this on the workshop floor. Is it not more important that a person can actually do the job, rather that their background, race, religion, disability? Absolutely. One would want you to be marked fairly on merit and ability to do the job. I am all for that. However it is not fair if one is being discriminated against and hindering your wanting to get your head down and do the job in question! If I am understanding this correctly the ultimate aim here is to break the link between merit and socio-economic status. This is somewhat radical! And how would one fully implement such a policy? And of what would merit then consist? The flat answer I suppose is that one could do this practically by, say, instituting parity of wage across all Civil Service pay grades. And merit would be recognised by service alone. This would no doubt be seen by some as disincentive to individual advancement. On the other hand, (with images of rats deserting a sinking ship) I suppose only the truly dedicated would remain - and start baling! I wish you well in your efforts to hold back the Atlantic. It seems to me that inclusion is more important than work ethic within the CS. There are a number of people in the Department I work for who do little work, but because they belong to a 'minority' if I was to complain, I would be in the wrong. The middle managers simply do not want the hassle, so they look away. Thanks to everyone who has posted a comment on this and Martyn Henderson's related post - https://civilservice.blog.gov.uk/2016/08/09/are-there-any-senior-civil-servants-with-a-working-class-background/. Thanks also to members of the Senior Civil Service (SCS) who are taking the time to complete the survey on their socio-economic background (SEB) and giving feedback directly on the evaluation questions in it. It is worth underlining that the survey of the SCS is not an isolated exercise, nor the last word in identifying the barriers that some civil servants face in reaching the higher levels of the Civil Service. It is, however, an important next step in the process of determining the most meaningful and commonly understood measures of social mobility at all levels of the service. As one of the commenters has remarked, the survey will not only help us understand better what the SCS looks like in SEB terms, it will help us to frame and refine the measures of SEB that we can then apply to the whole of the Civil Service and start dismantling the barriers some civil servants face. The survey is completely anonymised, and we have also not asked anyone to define themselves according to 'class', which is subject to all sorts of preconceptions. Our measures have been developed to be much more precise than this. Some of the measures in the survey have already prompted a healthy discussion about their relevance to gauging SEB and the wider debate on increasing social mobility - all invaluable feedback to help us in drilling down to the most relevant set of measures. 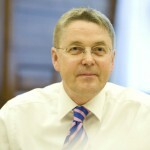 And, to emphasise Jeremy Heywood's point, the survey and the process of which it is part, are not about discriminating against any particular group, but about making sure, as far as we possibly can, that everyone, regardless of their background, has an equal chance of progressing in the CS on merit." Can you give us a flavour of how people are defined, if not using 'class'? Thanks Bill. You can see the measures included in the survey in this GOV.UK news story: https://www.gov.uk/government/news/civil-service-pilots-new-social-mobility-measures. As one who joined in 1975 I welcome the idea of not basing everything on class.It does lead to numerous opportunities for misconceptions. The only drawback is that in those days the annual report was based on merit and skills clearly demonstrated. Although with others I groaned at tags such as "Tidiness" or "Appearance" they were rather more understandable than "competency statements". As a colleague said years ago when the system changed "You don't need to prove you can tackle problems in future, you just need someone who can write like Shakespeare and show you what to put down." He was only joking at the time. I agree with Lesley.Until we get back to determining whether Ms/Mrs/Mr (Regardless of their family origin or address)can do clearly identifiable things which we can all relate to this is just window dressing . Would it be naïve of me to say that Im sure that there must be quite a few people who don't CARE what category/colour/etc etc colleagues or managers are as long as they are honest , do a good job, and are FAIR?
" the survey and the process of which it is part, are not about discriminating against any particular group, but about making sure, as far as we possibly can, that everyone, regardless of their background, has an equal chance of progressing in the CS on merit." In terms of recruitment to SCS (fast stream), the Bridge Group report shows quite clearly that individuals from lower SEB perform (or at least score) significantly lower than applicants from higher SEB particularly on assessment of Leadership and Communication skills. One reason why lower SEB are less successful in being selected and possible less inclined to apply. Shifting focus from the SCS Fast-Stream for a moment, this would seem equally true for applications to positions at lower grades where higher SEB candidates may have an advantage in these types of "competence". Is it not time to accept that the "competency statement" processes of selection is itself unfit for purpose and serves predominantly to entrench inequalities of opportunity rather than identifying real potential and merit. I'm not sure I entirely agree that the pre-interview (sift) process, as you describe it, effectively prevents unconscious (or for that matter conscious) bias. Significant information from so-called statements of competency can allow assumptions to be made by sifters which may incline them to mark low and reject applications from identifiable groups. Here I am thinking about the types of examples and language used - passive language, previous work experience, grammar/spelling and so on, which can unwittingly reveal socio-economic background, gender, ethnicity, disability and so on. It would require a very highly skilled "sifter" to be alert to these subtle revelations which may influence how they are scoring examples. An obvious example of sifting gone awry, seems to me to occur when existing Civil Service staff, who have perhaps worked for many years in a particular role/grade, who are then scored as incompetent at sift - often for positions at their existing grade. It does not require great insight to recognise that an individual cannot be both competent and incompetent (for a particular grade) simultaneously. In terms of existing staff within the Civil Service, this mismatch between reality and sift outcomes is wide-spread and acts as a concrete barrier to progression. A full and proper analysis of sift process outcomes is long overdue and I suspect would reveal that massive potential is left unrecognised and unharnessed within the Service. So, the sift process, as it currently stands, fails to ensure parity of opportunity. It remains deleteriously exposed to bias and skills of individual sifters and evidently produces large-scale anomalies in how existing staff are measured. In turn this feeds into the poor People Survey results for engagement, discrimination and loyalty to the Service brand. As it stands, the sift process is not fit for purpose in an organisation that aspires to a diverse workforce where all potential is recognised and pursued, irrespective of social background and protected characteristics.